Erin Greene is back with another puppet pattern for her series! Now you can add a prince and a knight to your unicorn, princess, and dragon to create a great, interactive story with your little ones! I’m so so excited to announce the launch of our newest Maker Call!! 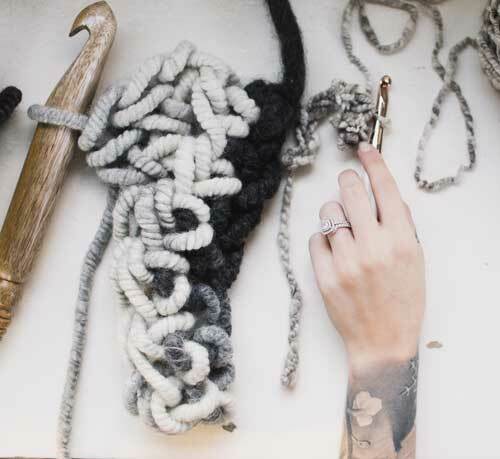 No matter your social following, we want to feature Makers who love what they do, are inspired to share with others and wants to be part of our close-knit community of Makers! 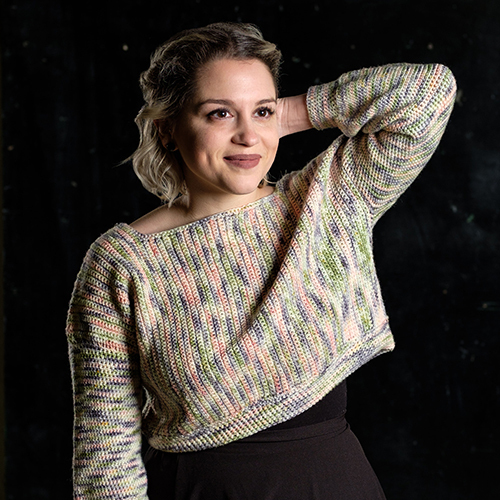 The Daydreamer Sweater by Shannon Eckler was a passion project that was born from a simple skein of yarn. The Bitty Bunnies: Benedict and Beatrice are a brother and sister pair. They are huggable, lovable and adorable! Have you heard about our gift exchange?! We would absolutely love to have you join us! As a participant of a THN Gift Exchange, you will have a chance to be paired with another Maker from somewhere within your country/region which is fun way to meet new friends, share some handmade love, connect within our wonderful community in SUCH a fun way, and - of course - have an opportunity to receive some awesome HANDMADE happy mail! Check out the photos of gifts that were sent/received in a recent exchange to get an idea of what to expect! 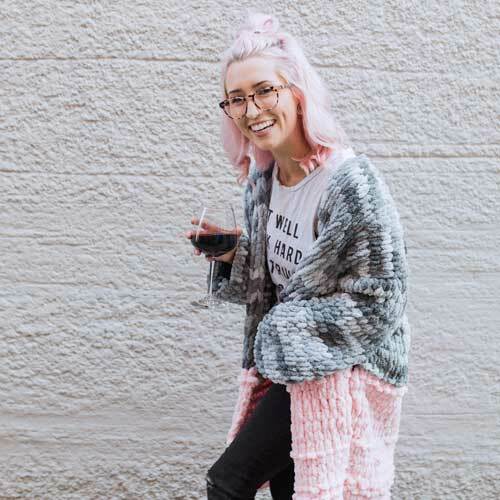 You will love the Beverly Cardigan so much you will want to wear it around the house, to run errands, to a casual lunch, or for a special event! The simplicity of the design but uniqueness of it will make it one of your favorites! 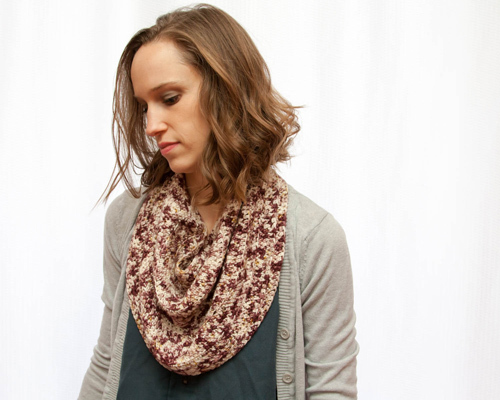 This cowl pays homage to the mockingbird not only in its soft gray hue but in its versatility. While only using a single stitch, this cowl is reversible and each side has its own distinct texture. 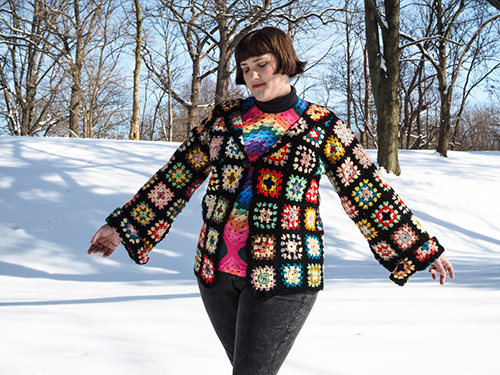 You are totally capable of making an amazing cardigan out of a vintage granny square afghan. When you give yourself a chance, there’s no limit to what you can create. One day when looking around Rachel's home, she decided she needed a new entry mat, so she picked up her hook and made this "Our Nest Mat". Don’t be intimidated by the colorwork! There is a chart to read which makes this an experienced beginner pattern and not as challenging as it appears. Named for the circular motion of a vine looking for something to hook onto and grow, the Circumnutation Top has small garter details and a big, bold accent cable. 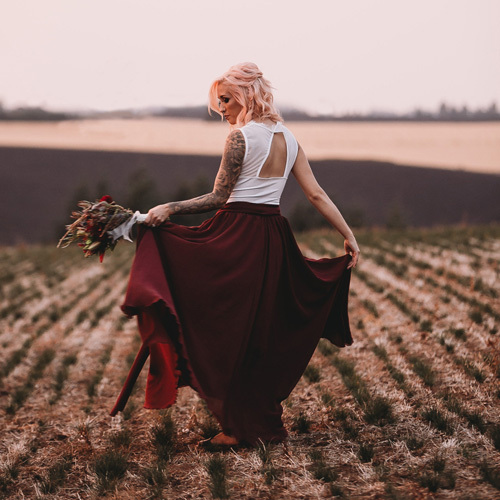 It always has been incredibly important to me to BE love to others (without allowing others to take advantage of the love I give) because I recognized how significant other’s actions of love towards me helped me heal and grow and recognize myself in a new way. Love shows others they are not alone. Love shows others you are there for them, no matter what. Love conquers all. 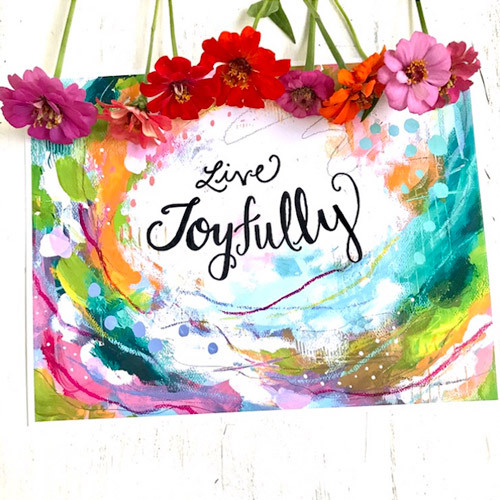 I hope you all love this quick and easy project that is not only a beautiful handmade home decor piece, but also a lovely and gentle reminder where to focus your energy each day. 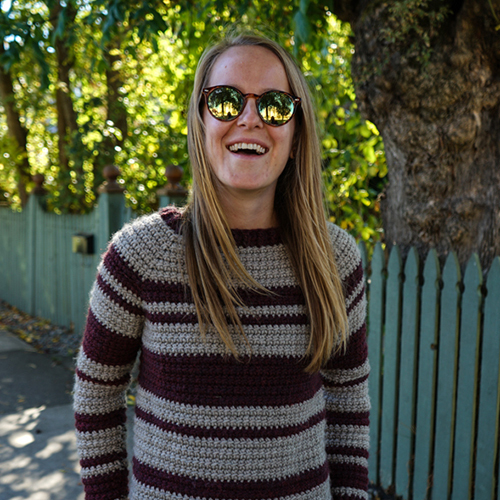 The Almost Rosey pullover is a simple raglan style design that starts out with solid double crochet stitching and ends with a unique diagonal filet mesh design that wraps around to the back of the sweater. Next time you feel like you’re failing stop and take a breath. Do something that makes you feel good and reminds you how far you have come. It’s all a matter of perspective. 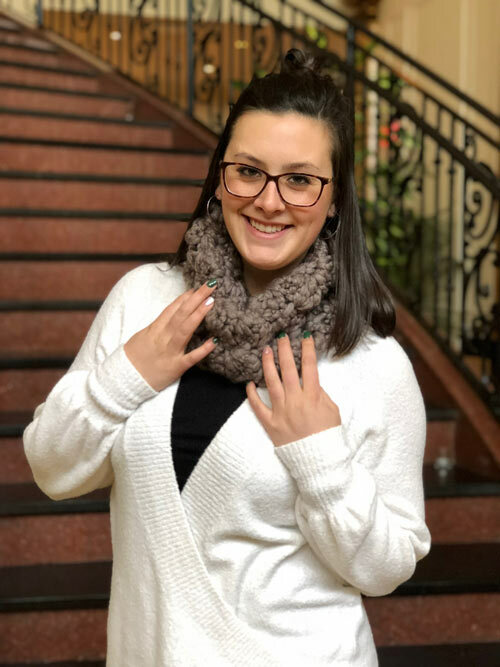 The Brielle Scarf is a great way to give finger crochet a try! It works up quicker than using a hook and perfect for these long winter days! Gillian Docherty of Loopy Handmade spent the holidays in Bangkok where she was inspired to design this pattern to share with THN readers! 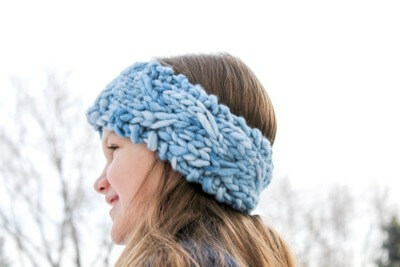 A fun little headband pattern that knits up quick to keep your ears nice and toasty. 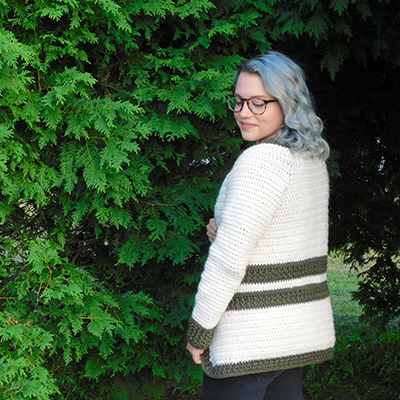 Introducing the Cascading Bobbles Sweater! Starting off with bobbles all around the neckline they cascade down your body to points on all sides. Grab your hook and and let’s get bobblin! 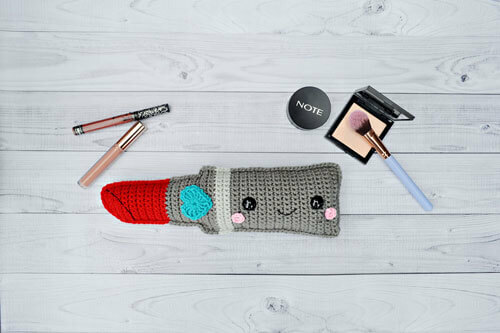 Create this fun beginner level crochet Lipstick Kawaii Cuddler™ crochet pattern. 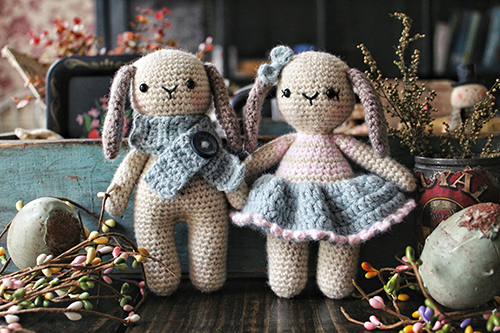 It is bigger than the traditional amigurumi that holds a whole lot of personality! 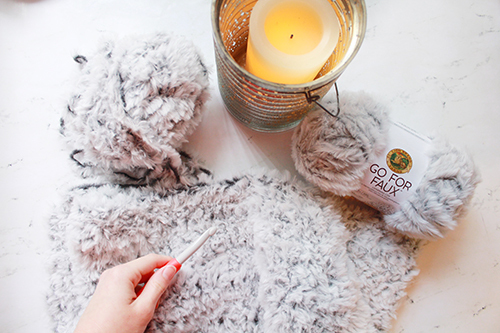 This Fur-Real Bolero adds a stylish statement piece to any wardrobe! The faux yarn works up easily! Just make a square, sew it up, and wear it! Create an easy gift for either your Valentine or Galentine that can last for years to come! 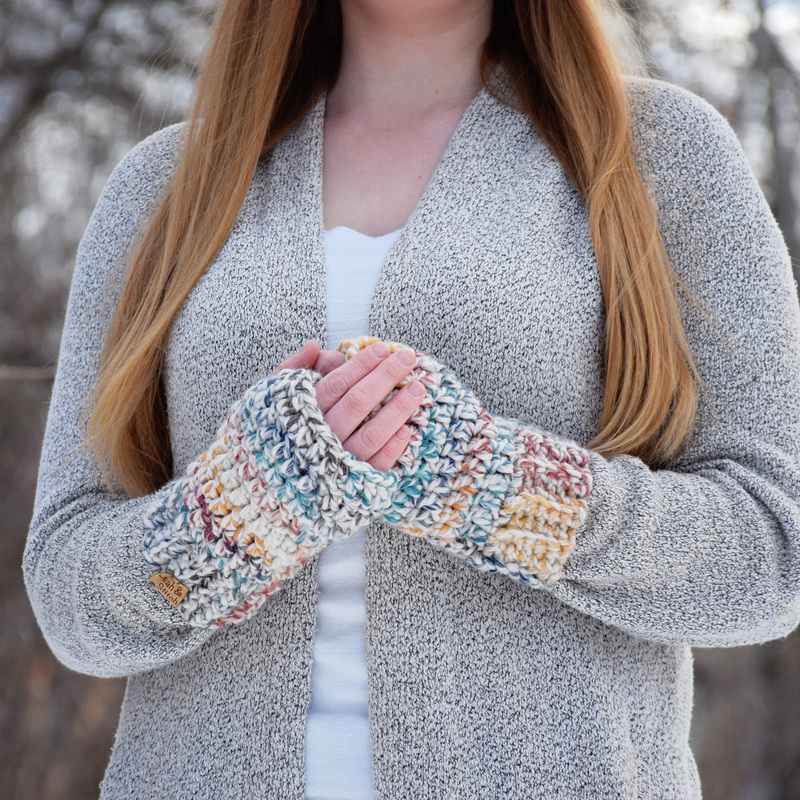 The pattern I want to share with you today is a fingerless mitten pattern! Some pros and cons of selling made-to-order vs. from an inventory of pre-made items to help you decide which approach might work best for you. I get to choose to have it say "I am enough" or "I am worthy" or "I am all I choose to be". So can you. 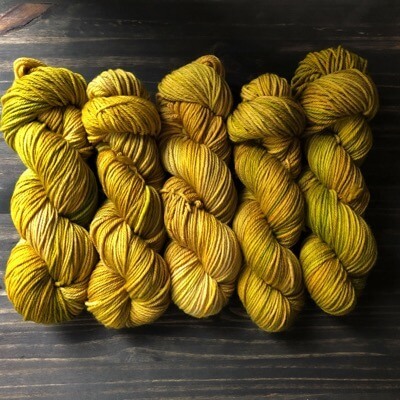 Indie Yarn 101 - learn all the basics of navigating the world of hand dyed yarn! 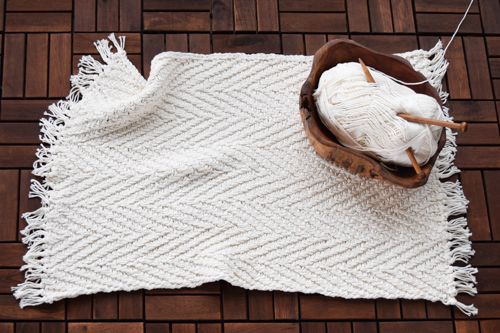 The Welcome Home Herringbone Knit Rug, by Erin Black, uses the multi-strand techniques and offers sumptuous and modern styling! 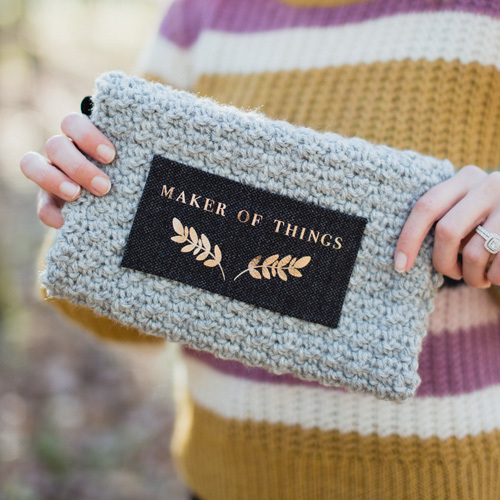 "Maker of Things" Crochet Pouch DIY Project + Cricut! The Louise Wrap Dress by Brittani Bumb is simple to sew for all your upcoming holiday parties! 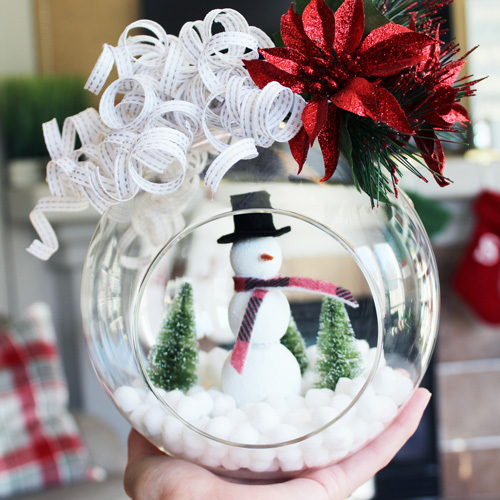 Make your very own Charlie the Snowman DIY Holiday Globe! 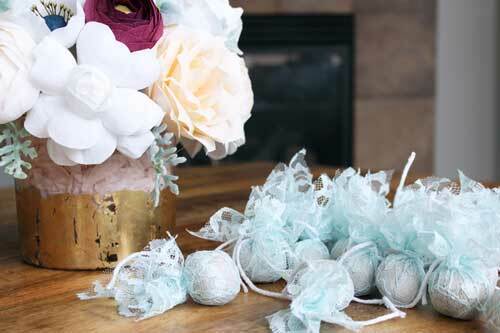 This craft project takes about 1-2 hours to create and makes for great decor - and a great gift!! 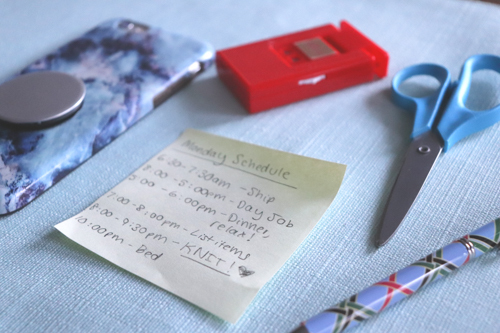 Grab all of your supplies at your local JOANN Store! 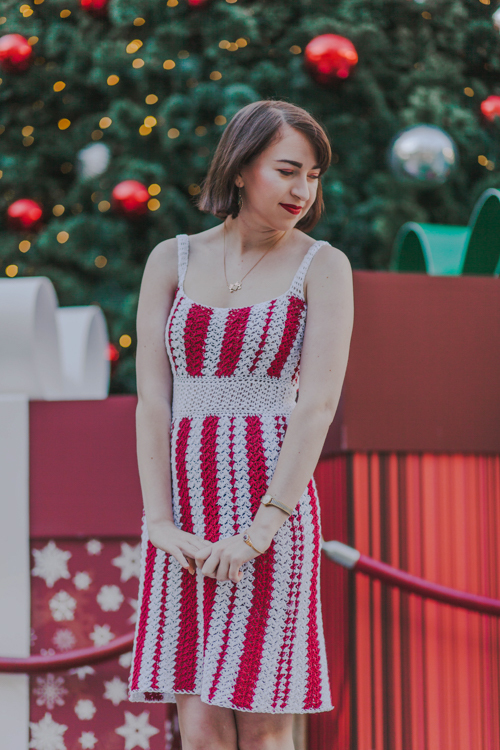 Sam of Casale Crafts designed this crochet dress to work for Christmas, New Years, and Valentines day, HENCE the name The Triple Threat Dress! 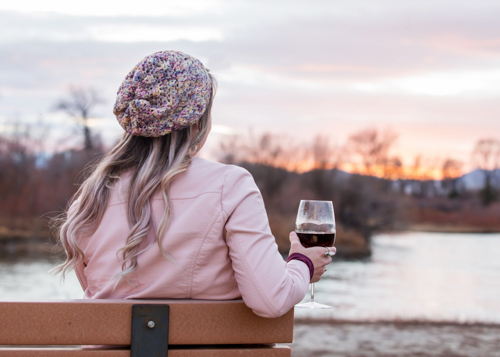 Emily Waugh has done her best to create this Sentimental Skies Slouch Hat pattern that does justice to the arched bands of color of a show-stopper Montana sunset. 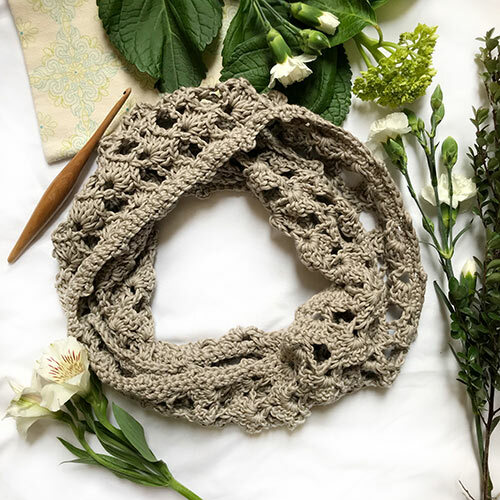 The Knotty to Nice Neck Wrap is a quick and easy project that will keep you cozy and help you relax by melting away any tension that you may be experiencing as a result of the holi-craze! The Charlie Raglan is simple, feminine and beginner friendly! 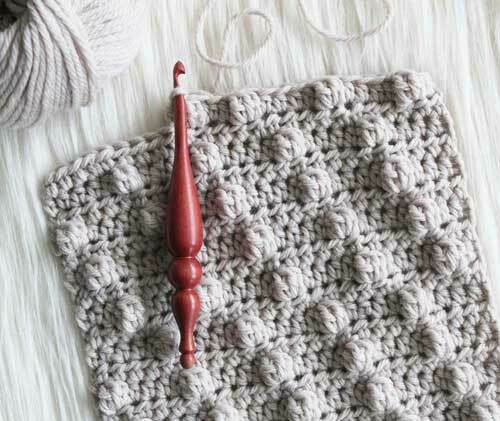 The pattern uses a stitch that is a fun spin on a double crochet – the linked double crochet stitch. 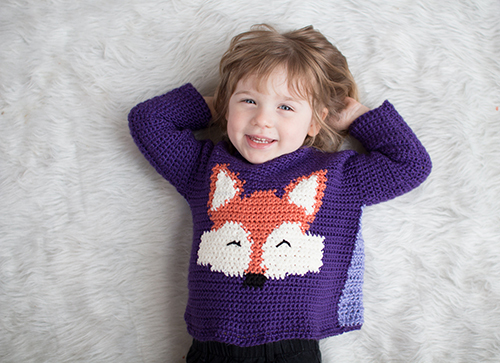 The Woodland Fox Pullover pattern uses tapestry crochet techniques, perfect for your little one this season! The Reverie Ruana has sweet elegance with the slightest bit of sass. Perfect for any wardrobe and style, you can’t go wrong making this for yourself or as a gift! 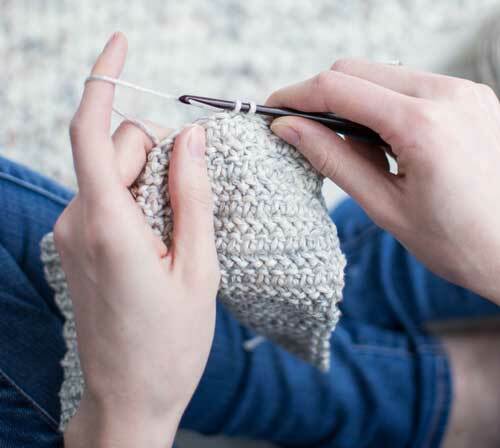 Get started on these twelve crochet patterns designed by Jessica Carey of The Hook Nook all geared for an enjoyable experience, and great for all skill levels! 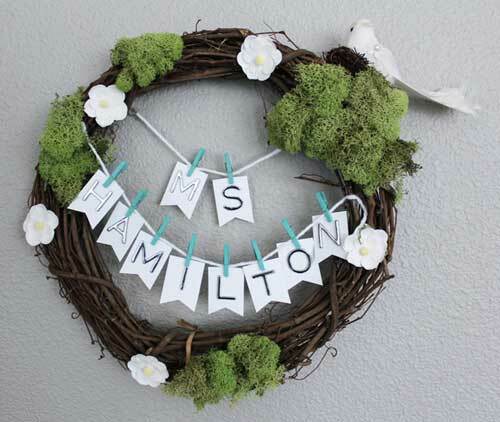 Projects ranging from easy to intermediate, there's always something new to try! I am so excited to share with you this collection of projects to not only give you fun projects to end up with, but to give you projects that have an enjoyable making process. 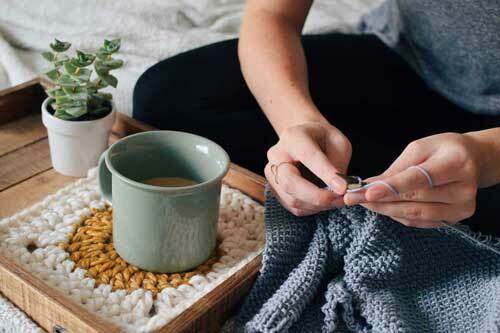 From the repetitious stitches to the changes in row sequences, these easy and intermediate projects will be satisfying for the entire making experience, and hopefully encourage you to sit and explore the gratefulness in your life and ways to process life around you. 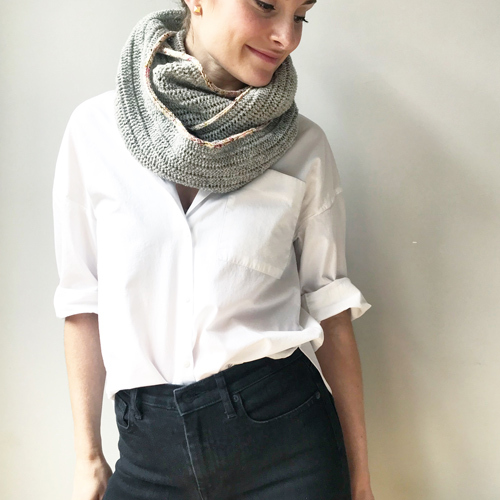 This beautiful Herringbone rectangular design with classic scallop detail creates for a timeless shawl that can wrap you up in the colder months no matter the occasion! The Crafty Boho Pillow, by Ashley Stallsworth, was such a hit with readers that she is back with a companion pattern! This round trendy Craft Boho Rug can be sized to fit in any space! 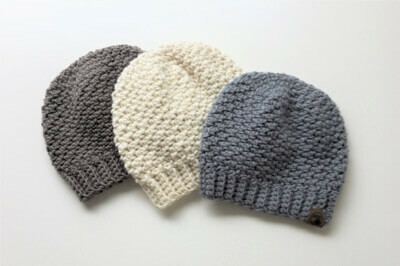 Niree Noel of Niree Knits shares a fuzzy beret pattern just in time for winter! The Wonder Glam Wrap, by Karen Lucas, was inspired by the golden age of Hollywood! 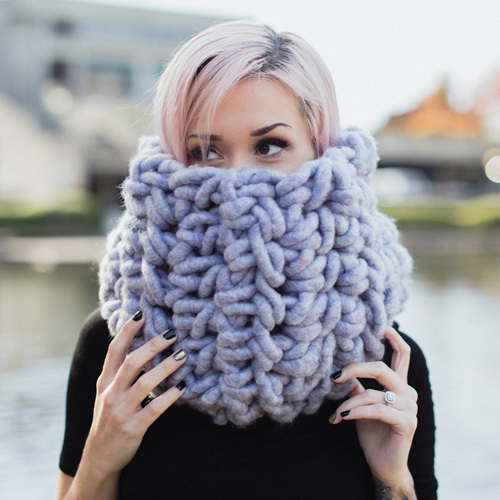 It will keep you cozy while looking fabulous! 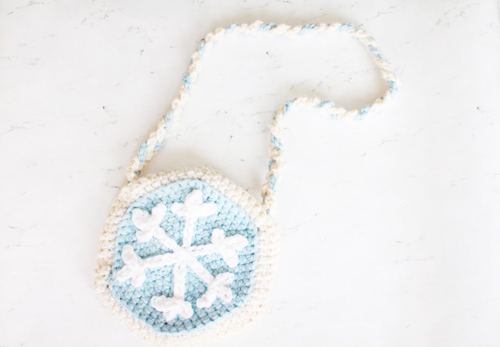 This Snowflake Sugar Cookie Purse is the perfect size for all of the holiday occasions you may have from parties, visits with Santa, or for giving as a gift to hold lots of holiday goodies! The Seamless Snob Cardigan is simple but sassy! This cardigan pattern is designed with no seams, no sewing, and no extreme stitch counts! 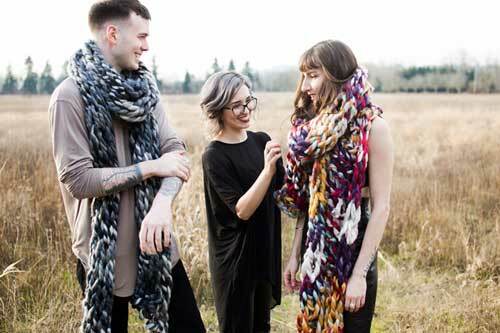 This unisex hybrid pattern inspired by Jessica of The Hook Nook and Brittany of B. Hooked Crochet merges both crochet and knit to create a beautifuly unique scarf. 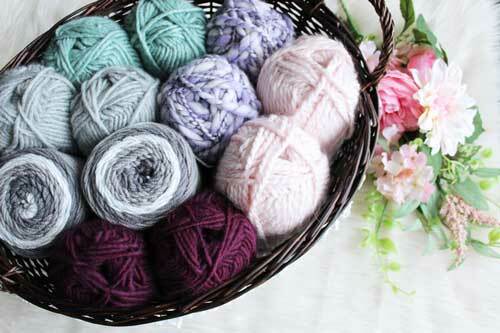 Create another one-skein-wonder with Ellen Bergman! You will want to whip up dozens of these bootcuffs after you find out it only takes less than 10 minutes to create! 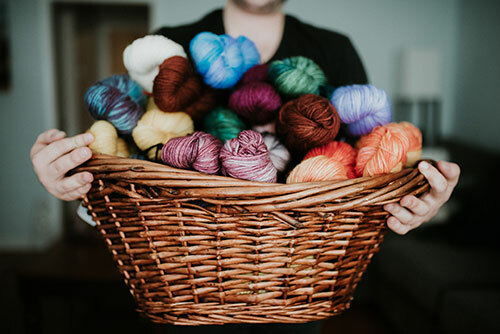 Join us for a fun CAL with our friends at Furls Crochet! 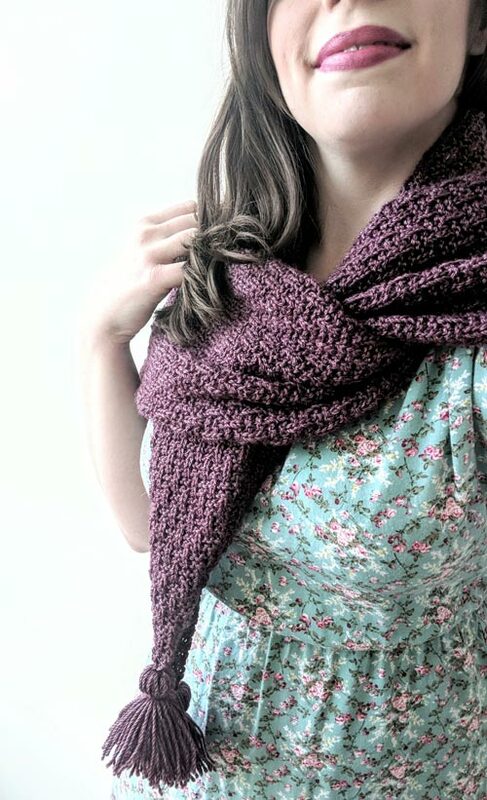 We will be creating my new Rhiannon Slouch crochet pattern throughout the month of October. Join us in our free event! 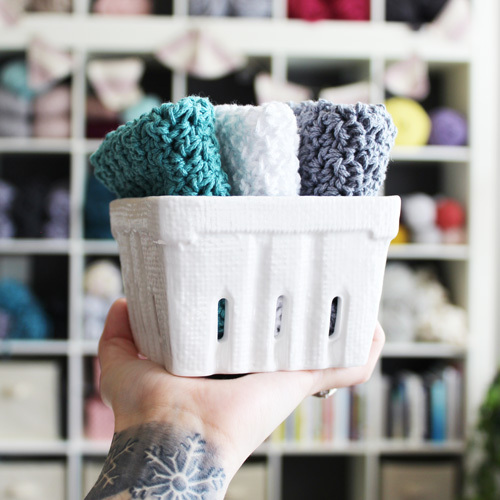 Stephanie from DAHI x Stephanie Marie brings us the CUTEST pattern for a mason jar cozy, and it's FREE! 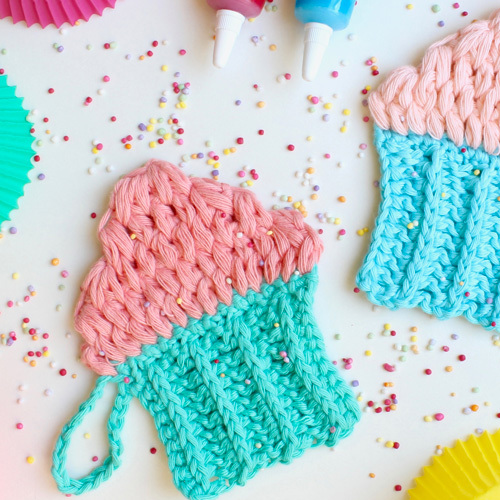 Get your yarn and hooks ready, because you'll want to make a hundred of these beauties. 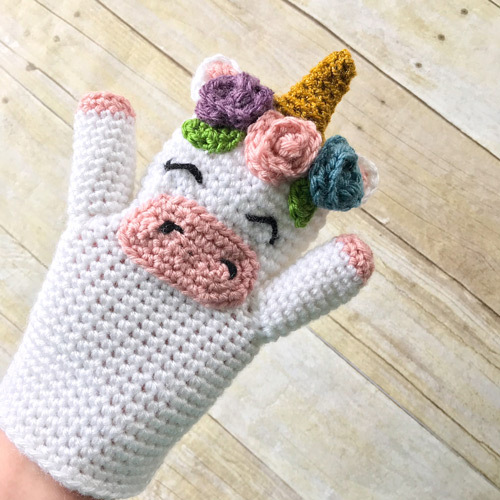 You've seen the famous princess and unicorn hand puppets, and now Erin from ekayg designs brings us a free crochet pattern for a DRAGON hand puppet! Perfet for the little guy in your life! And what a fantastic Christmas present! 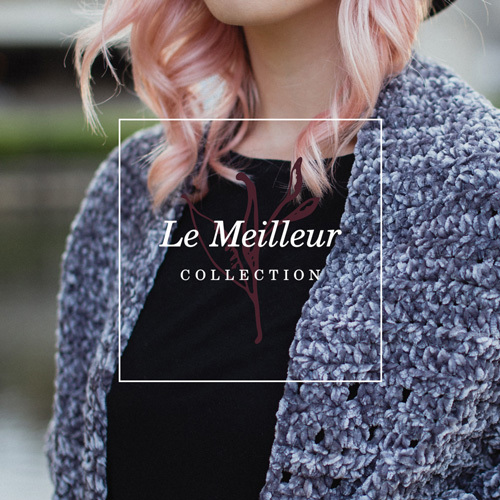 Deliciously cozy yarn… amazingly textured stitches… I mean, seriously. 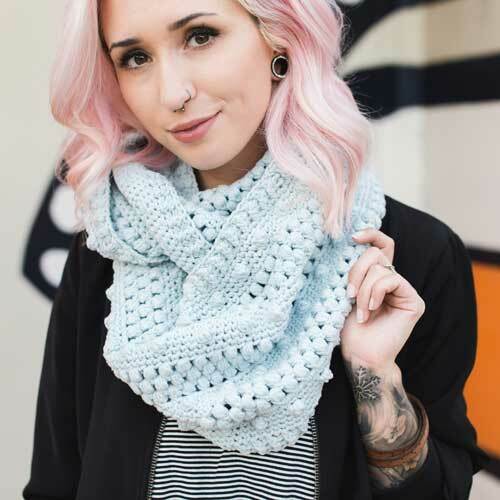 With easy but frequent stitch changes, Dottie Infinity Scarf crochet pattern is the perfect DIY project to keep you interested throughout the whole creative process and leaves you with the perfect accessory for those blistery days - or even just those days you want to flaunt some of your makes. Dottie is about to become your new best friend. 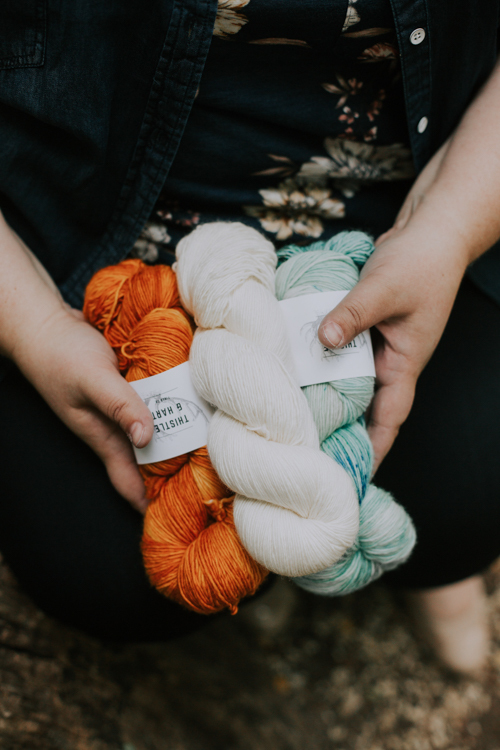 Put your needles and hooks down, and pick up some of the new Bernat Alize EZ and Buttercream Loopity Loops yarns! Come get started on your own Namaste At Home Cardigan using both of these new and innovatie projects! 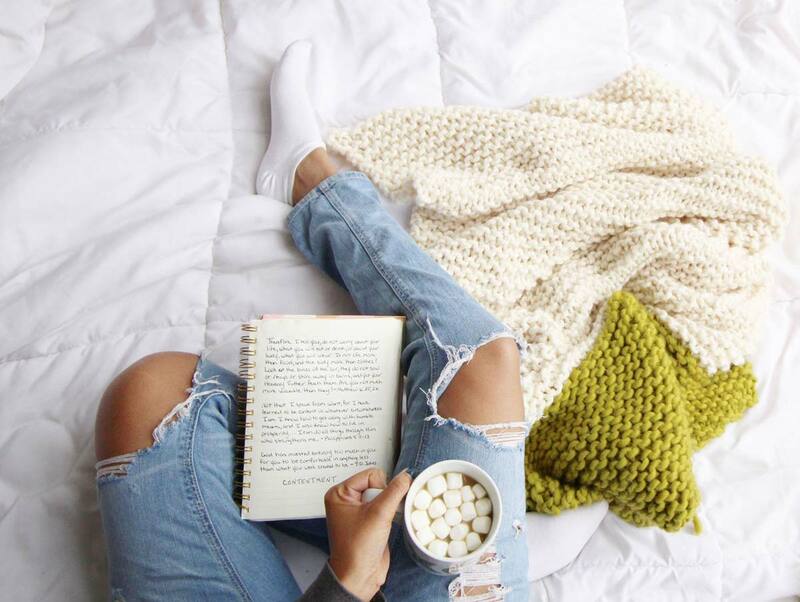 You can NEVER have enough fuzzy socks, and thanks to Rachel, designer behind EvenlynAndPeter, you can now make your own! 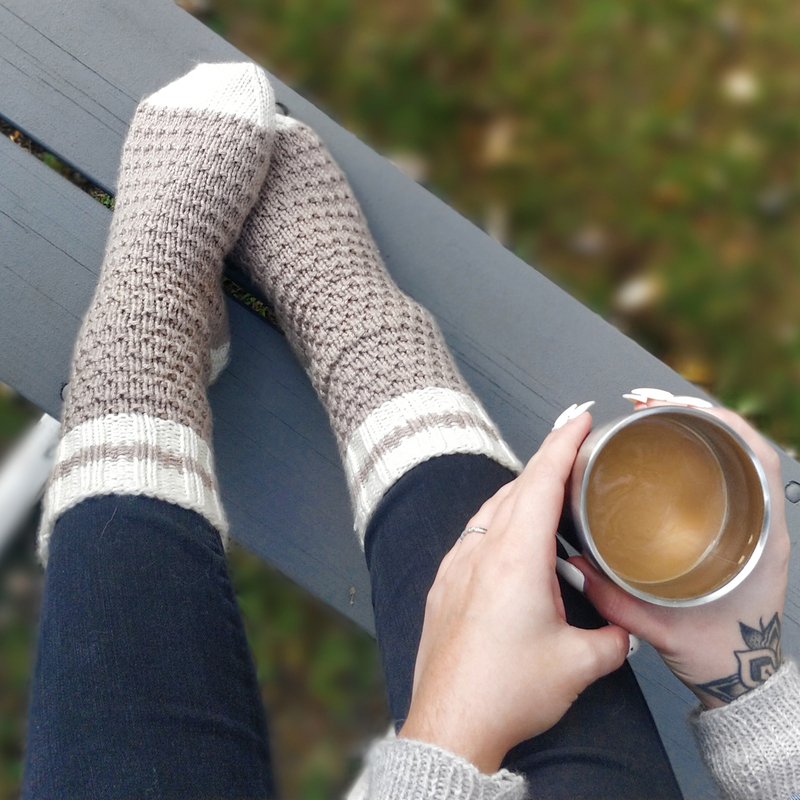 Check out this FREE pattern for the coziest pair of socks ever! If you're looking for the perfect transitional piece from summer to fall, look no further. Damylles from Modavessa brings us an amazing (and free!) 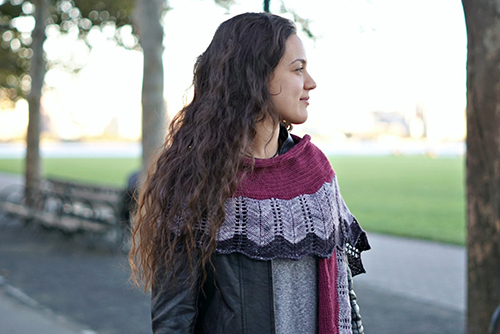 knitting pattern for a beautiful shawl! Itching to throw on a scarf, but still too hot to handle the thick weight of your favorites? 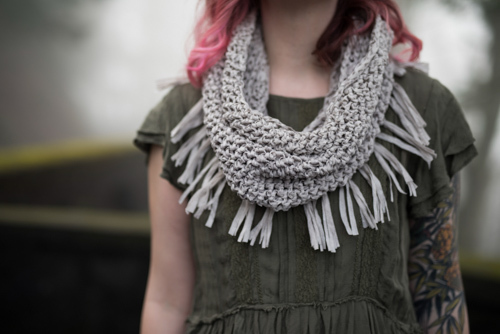 Grab your hook and some yarn because Abby from Cozy Moon Designs has a FREE pattern for the perfect summer to fall transition scarf! 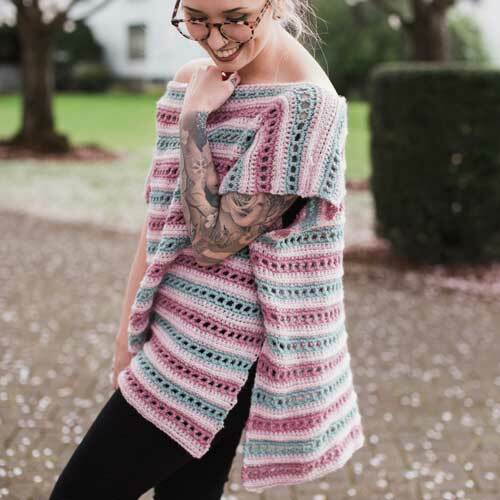 Get your hands on the highly anticipated crochet pattern, The Jessica Top, by Jessica Carey / The Hook Nook! A perfect cropped tee with a lovely combination of modesty and sexiness all wrapped up into one super fun design - with bobbles!! Read about the inspiration behind the design and grab your copy today! Calling all plant ladies, and wanna-be plant ladies! 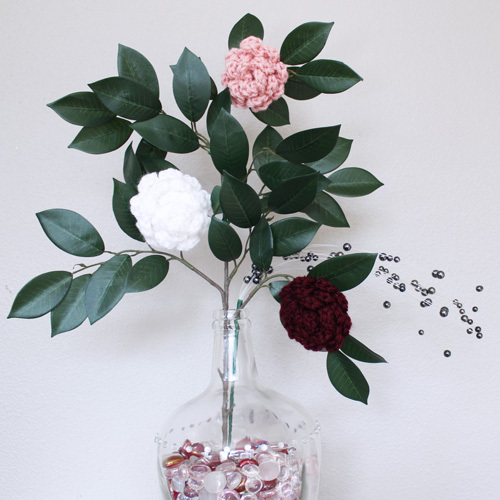 Hang your bouquets, your greenery, or your fake (but still gorg) plants in this amazing DIY plant holder! 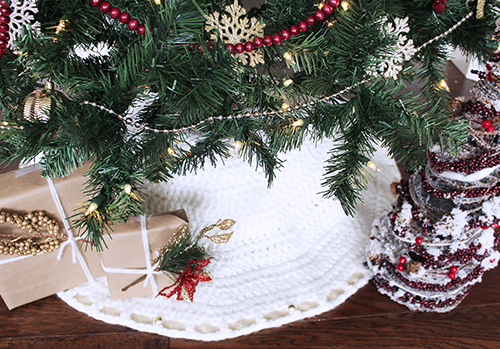 Melody Fulone brings us a free crochet pattern to make your own! Have a garment that just needs a little extra detail? Or the perfect decor that is missing something? 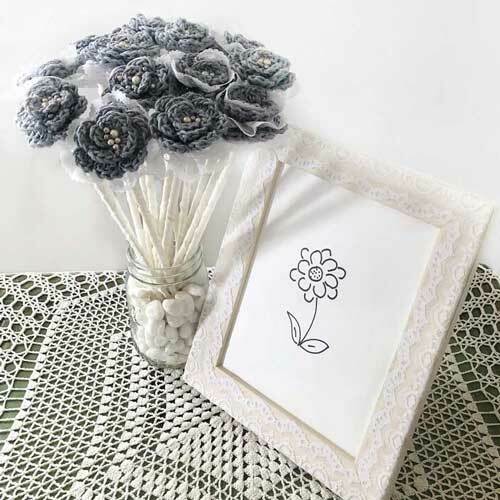 You are in luck, because Kristen from Gulush Threads has the most amazing pattern for your very own DIY floral embroidery! Looking for the perfect summer decor for the big barbeque? This is it! Grab your hooks and some yarn and start making the cutest cactus coasters now! Sierra Tosner from Sweet Everly B brings us the most adorable little girl's chrocheted dress, in a FREE pdf pattern! Make it over the weekend, crush it in a few hours, whatever you decide, the little darling in your life will look cute as ever! 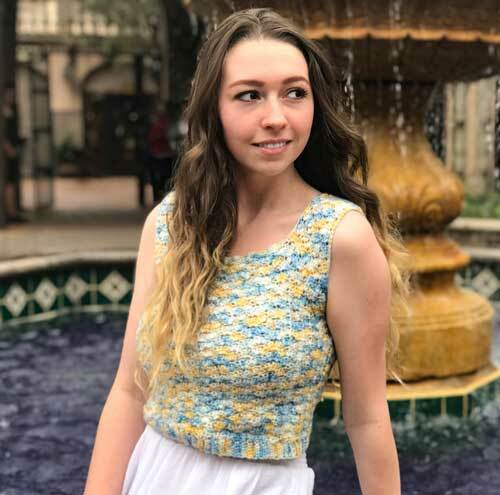 Ariel Thongsaly from The Knitted Sisters brings us her free crochet pattern for an adorable crop top using Bernat Maker Home Decor yarn! Check it out and see how you can make your own. The beautiful Ulrikke from High In Fibre joins us today with the amazing halter neck crochet top pattern! 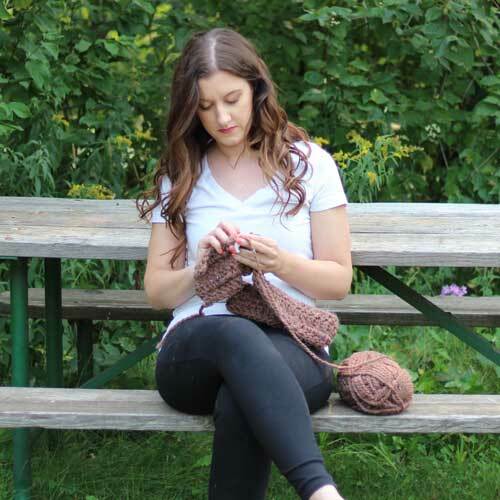 This free pattern is only a few skeins of your favorite cotton yarn away from becoming your go-to hot summer day top! Get started on your very own Marie Tee! 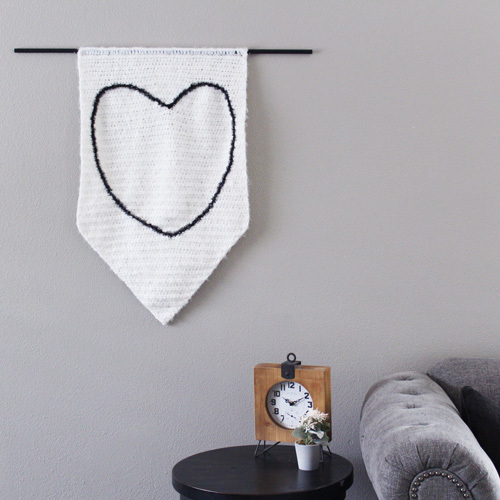 This gorgeous project combines both crochet AND knit to create one incredibly beautiful and unique DIY piece! 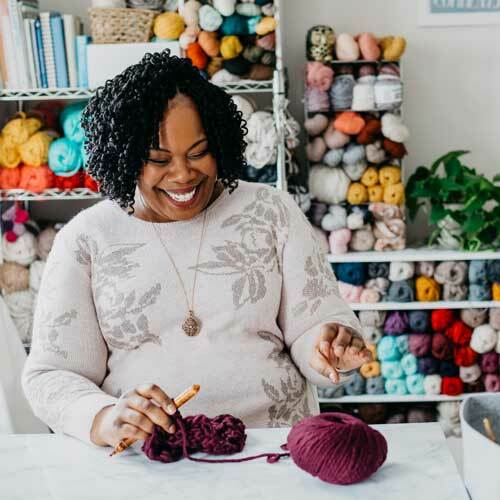 Ashley Stallsworth joins us today and shares how she came to love the art of crochet and pattern designing! Check out the free pattern for the ADORABLE pillow she has created! 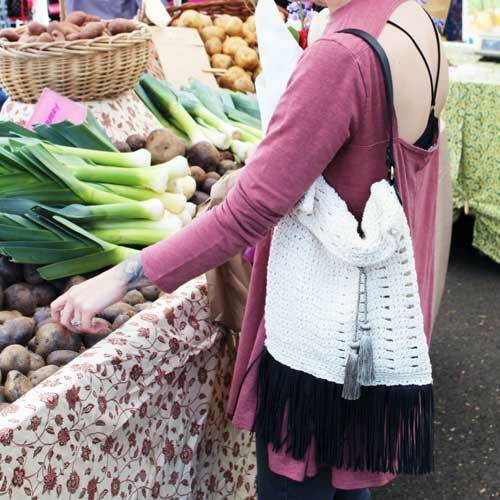 Get started making your very own crochet Eyelet Market Bag using cotton yarn, some purse straps and a weekend! 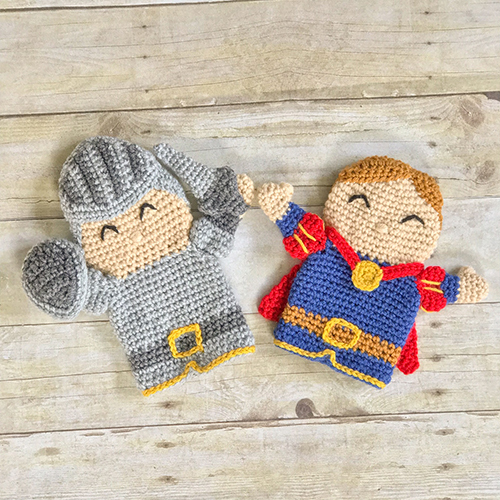 You don't want to miss this free pattern! Looking for the perfect summer top? 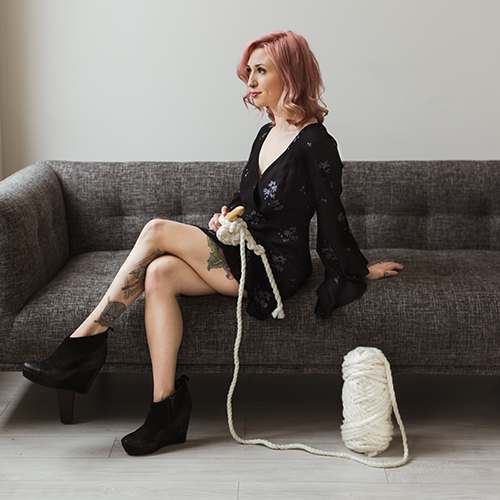 Look no further because Emily from Knot Idle has the perfect crochet pattern for you! Check it out! 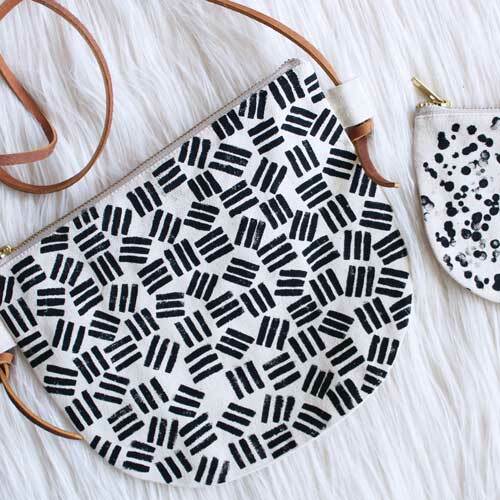 If you've been on the hunt for a new clutch that is both fashion forward and totally practicle, then you have to check out this free knitting pattern for the Artsy Clutch by Seray Asker! Brittani Bumb joins us again today to bring the most adorable free pattern for your very own romper! Perfect for this summer heat, and so easy to make! 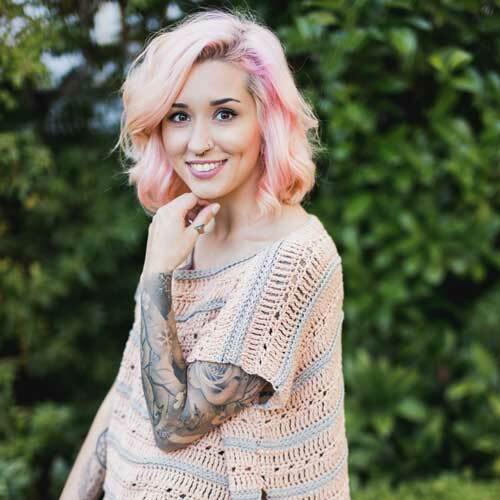 Chenoa Wilcox joins us on the blog to share her free crochet pattern for an amazing tank! Learn where Chenoa gets her inspiration from, and how her patterns come to fruition! Ellen Bergmann from Crochet by Ellen joins us again to share a new, FREE crochet pattern for a very fashionable fall and winter hat. Best part? 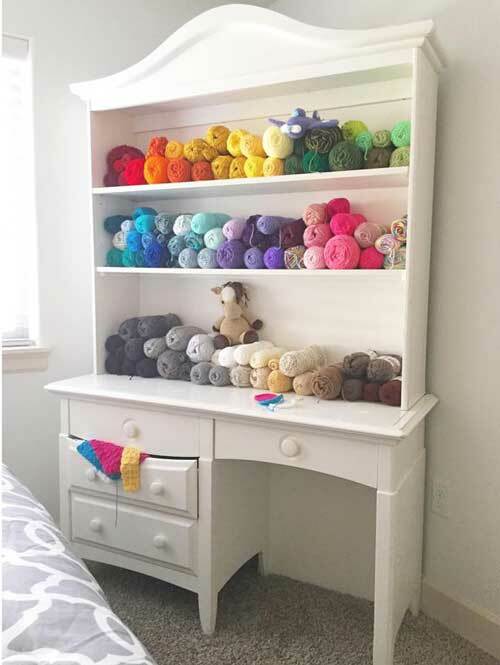 It only needs one skein of yarn! 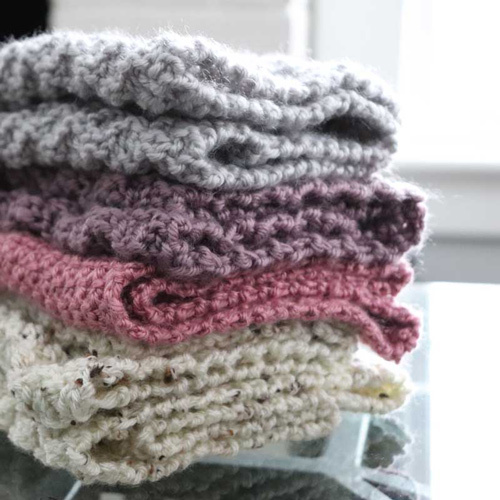 Ashley Heinen from Toasty Tribe joins us today with a FREE knitting pattern for the most adorable ruana. 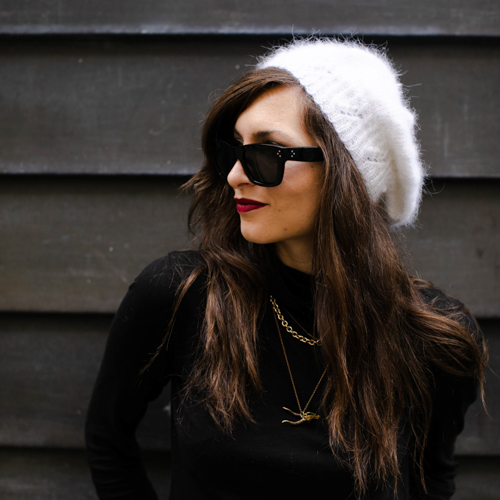 It's the perfect layering piece for any time of the year! 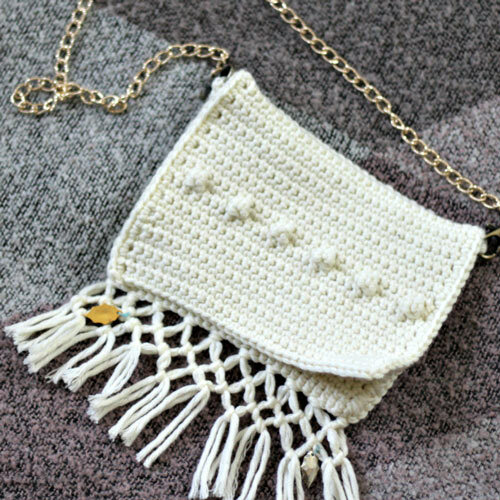 Get to know Ivone from Montano Crochet, and check out her free pattern for the perfect summer bag! 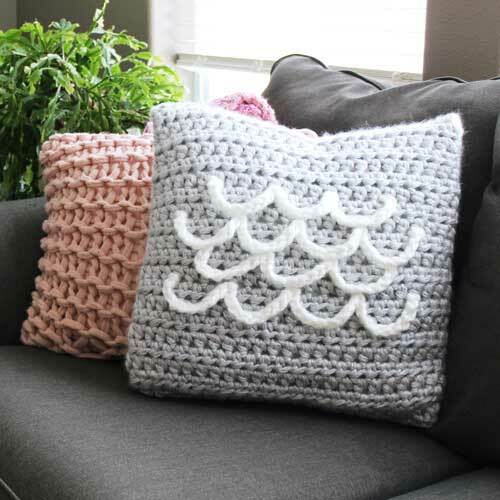 Beat the heat this summer with this fun DIY home decor project - the Summer Crush Pillow! 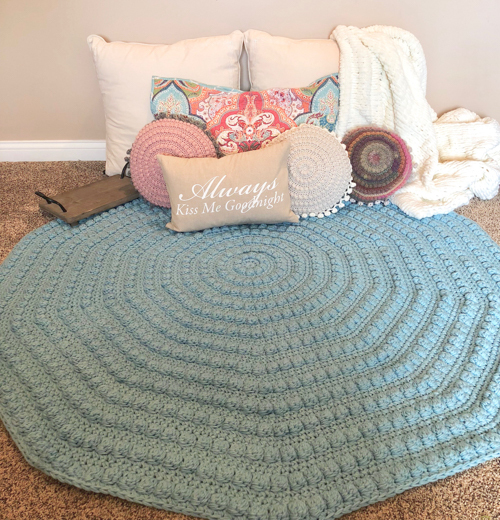 Check out this FREE crochet pattern for a beautiful nautical enspired decorative mat by Amber from Divine Debris! 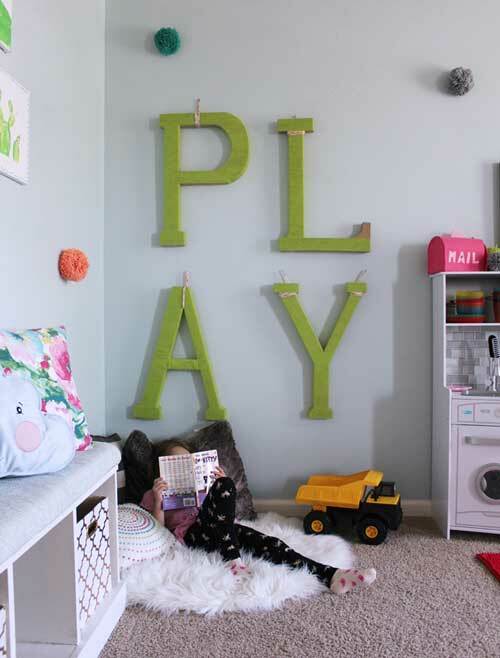 The perfect weekend project to bring a little personality to your home decor. 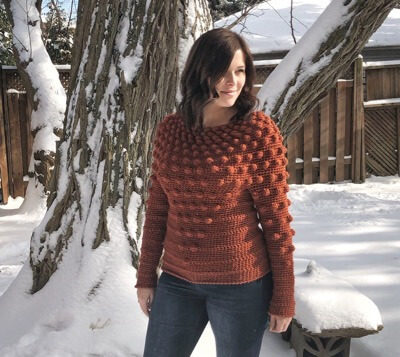 Enjoy a free crochet pattern by Mikaela Bates of Vivid Kreations and read about how she came to use her talents to help save our planet. 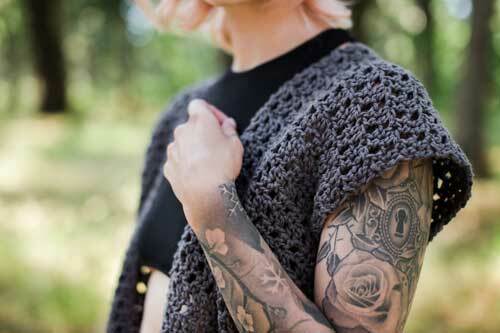 Get started on your very own crocheted Ophelia Vest! Beautiful contrast and detail, this is sure to be a favorite! Crop tops are such a fun project and wardrobe addition during the warmer months! Get started on this easy-to-make DIY Peek-A-Boo Crop Top crochet pattern by Jessica Carey from The Hook Nook! Looking for a fun spring garment project that you can also wear into the fall? 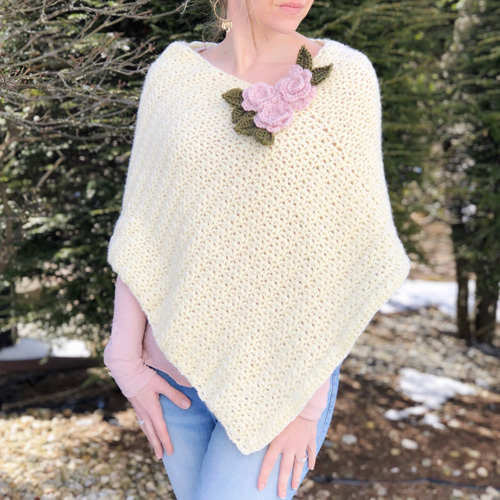 Check out my new FREE Serendipity Poncho crochet pattern! Let's get started! Crochet your own Evangeline Cardigan with this FREE crochet pattern by Jessica Carey / The Hook Nook! Printer-friendly version is available as well. Goodness gracious. I just got back from Los Angeles, California where I attended a very fun and special event hosted by JOANN Stores! They have recently remodeled their store located in West Hollywood and both myself and Vincent from Knot Bad had the opportunity to head down to L.A. to join in on the celebration! 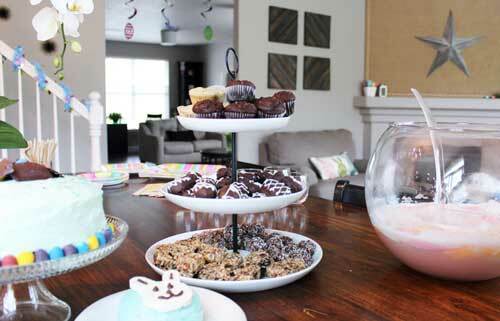 Come take a peek inside to check out how I celebrated with JOANN Stores at their event - filled with crafting, catering and Sutton Foster! Today is such an exciting day!! My team and I have been working extra super duper hard on our new shop page to get it all ready and perfect for you guys! We’ve created some wonderful new products with the help of one of our graphic designer friends as well as brought back the remaining pins we launched previously! We’ve listed my patterns in the shop, too, in addition to a gift card which is perfect for those that want to send their fiber friends something to fuel their pattern addiction or even towards a special product! SO MANY COOL THINGS and even more amazing things are in the works!! 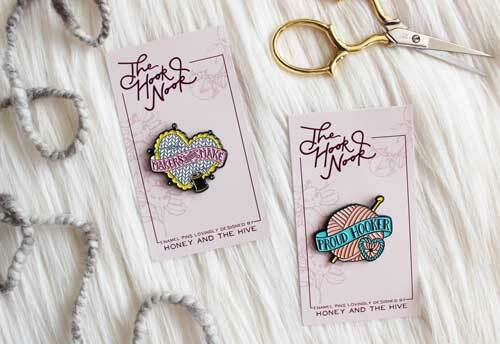 Now, not only do we have three INCREDIBLE enamel pin designs custom designed by Kelsey from Honey & The Hive, we also now have SEVERAL new products all designed by her and ready for preorder! What does the word "fear" mean to you? 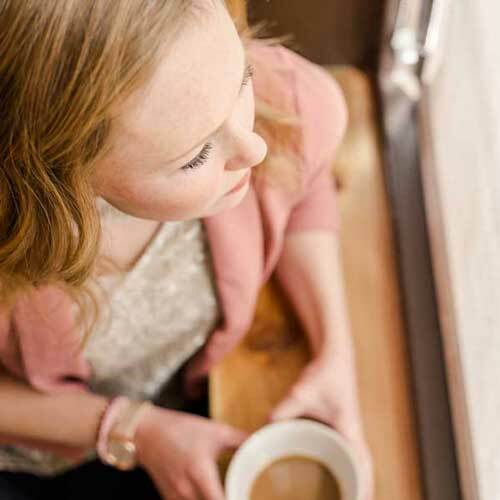 Let me share my thoughts on fear and how it has grasped my life so tightly. Watch the video (by Benjamin Foote CP) of my speech at the Our Maker Life Chicago 2018 event. Our Maker Life Chicago 2018 was such a magical event. I was a proud keynote speaker and am so excited to share my experience with you!! What an incredible event!! 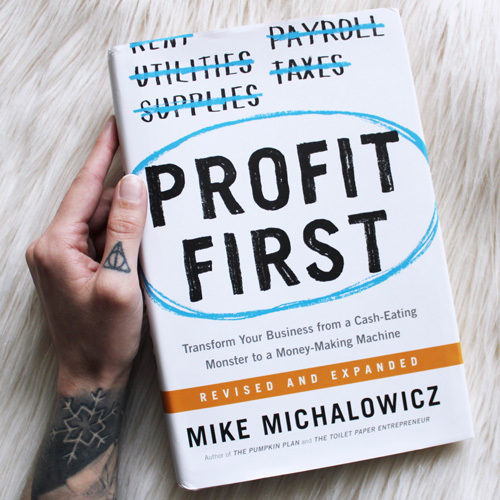 If you've ever wanted to expand your maker business by selling your products to shops or other companies, then THIS is the post for you! 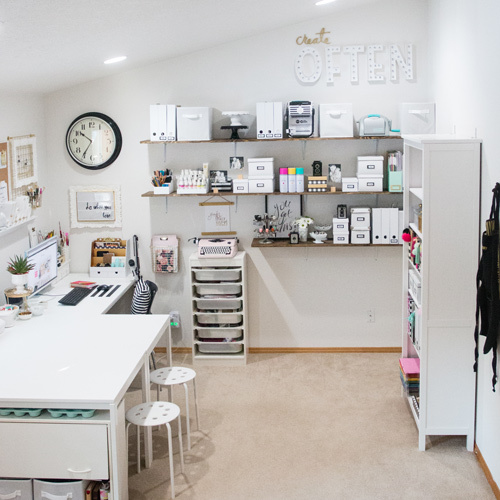 Kristin of KraeO Handmade is a wealth of knowledge and is generous enough to share everything she knows on how to get started wholesaling your products! Do you REALLY need to have a nice camera to run a successful business? 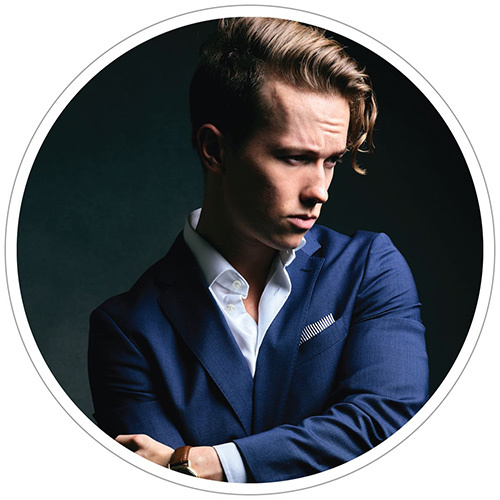 Let me share what I've learned about the importance of quality photos over the last handful of years of running my business. October Fall Favorites Crochet Pattern Bundle - LIMITED TIME! 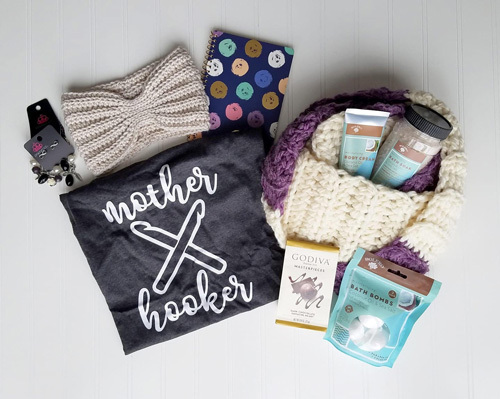 Take a break from pumpkin spice everything and check out the Fall Favorites Crochet Pattern Super Bundle! It’s full of over 40 amazing Fall friendly crochet patterns for all levels of crocheters. 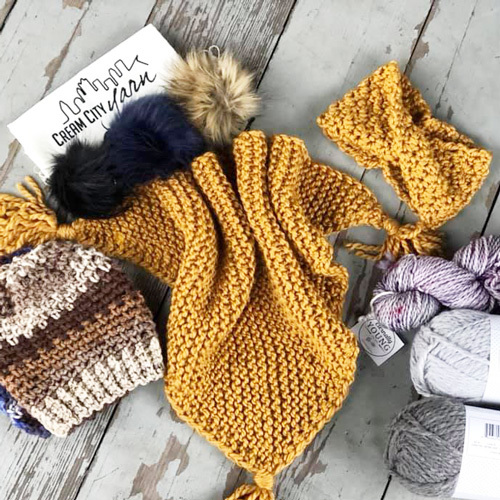 From cozy cowls and squishy sweaters to coffee cozies and comfy hats, this bundle is your one stop shop for Fall crochet patterns. ‍ My favorite part? So many of these patterns can be worked up super quickly, which means they make amazing gifts for the upcoming holiday season. Plus, when you purchase this pattern bundle, not only do you get 40+ designer patterns from top crochet bloggers and designers, but you also get exclusive discounts! I recently explored the June workshop kit hosted by The Crafter's Box and Bookhou! 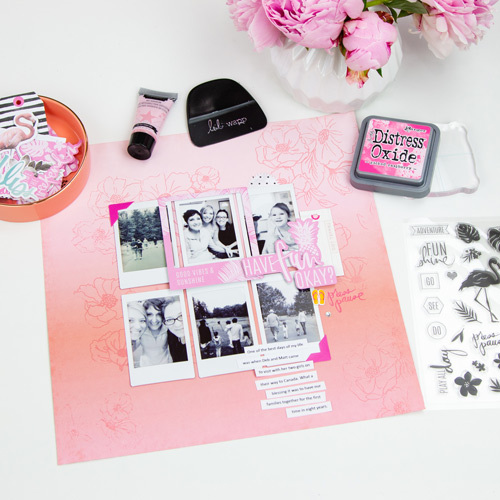 Take a peek inside to see what I made and how you can get your hands on a kit, as well! I have been keeping a secret for OVER A YEAR!! Come find out about my exciting new kit collection collaboration with the incredible We Are Knitters! 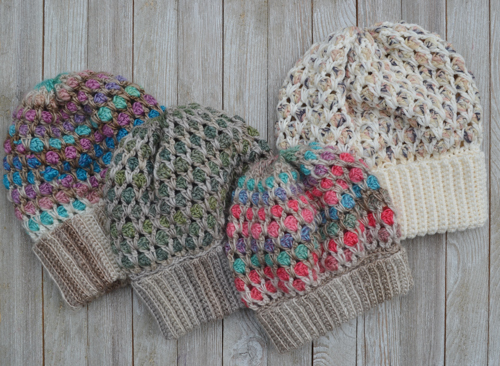 Five crochet kits, all cotton yarn, and 100% a dream come true. 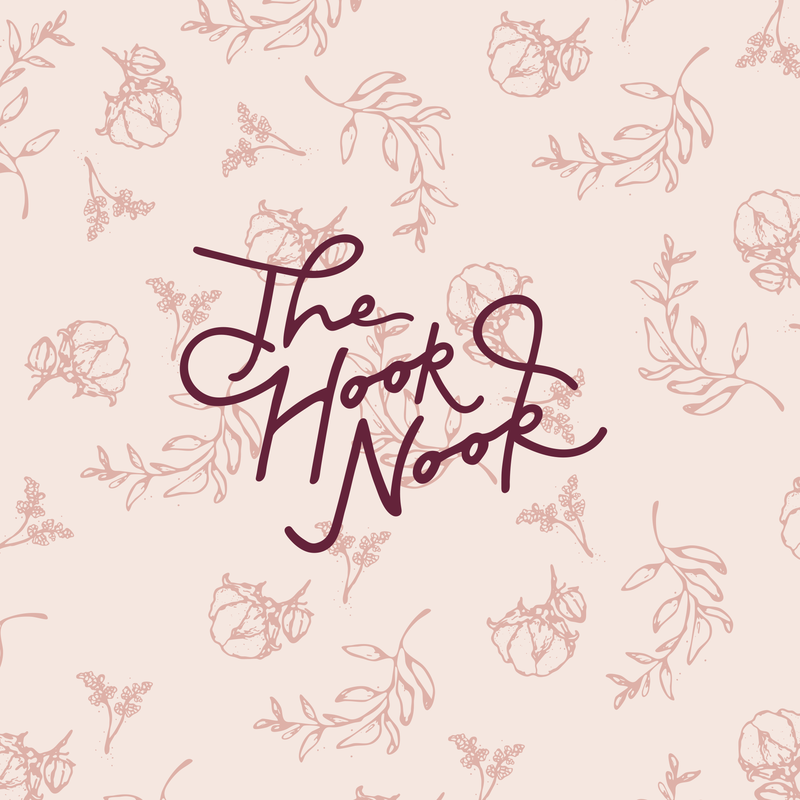 Preorder time for The Hook Nook exclusive enamel pins designed by Honey and the Hive! 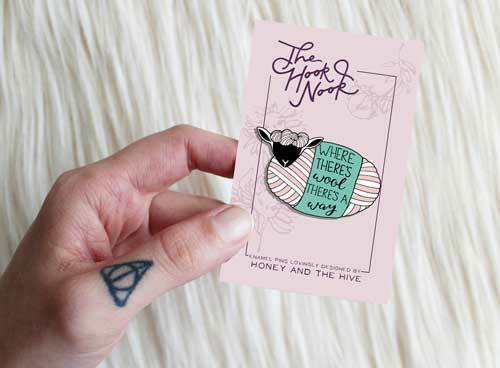 Check out these amazing custom-designed collab enamel pins from Honey and the Hive! 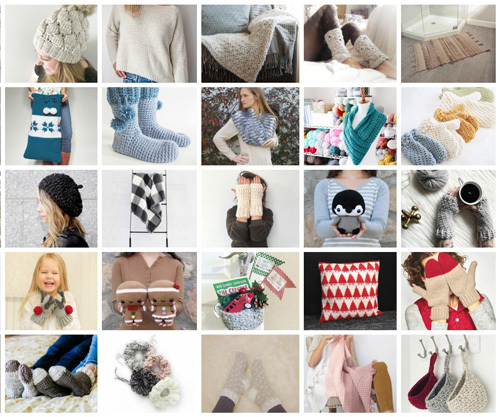 NOW looking for Makers who would like to be featured on The Hook Nook blog for Winter 2019! Join our THN Official New Year Gift Exchange and send and receive some handmade happy mail from another Maker! Connecting with Makers from all over the world in our THN community, this is such a fun way to connect even deeper. Head to the THNLife Shop to purchase your participation and join in the fun! 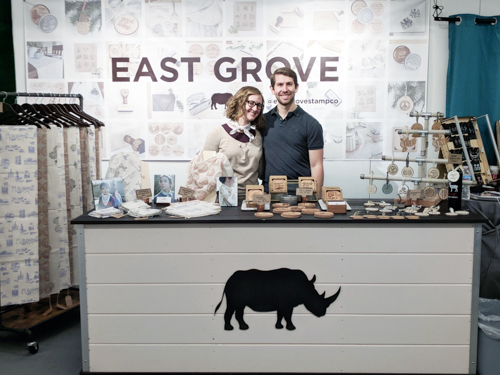 Make the best decisions for your business and get the most out of your next craft fair. 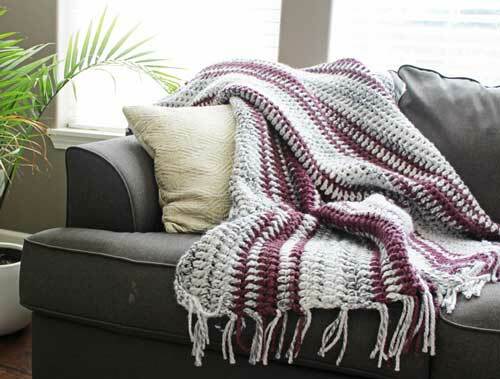 The Zwina Slouch crochet pattern, by Trista Churkey, is intricate but easy to create! 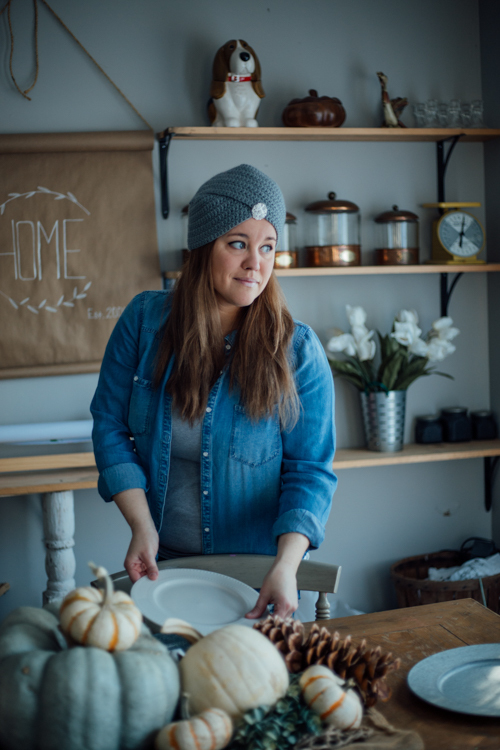 3 successful strategies by Laura MacGregor with Marion Mittens for selling your handmade goods in an online shop! These Snowed In Socks by Toasty Tribe are the perfect chunky knit project to have on your needles this winter! 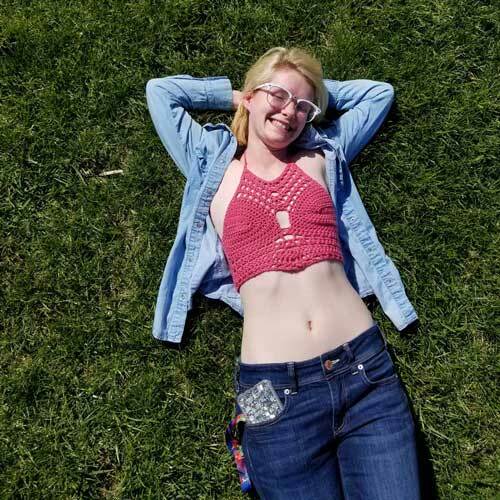 Ali Wholihan from The Turtle Trunk shares her story of loss, hope, and joy, and how crochet was such a huge part of her journey. 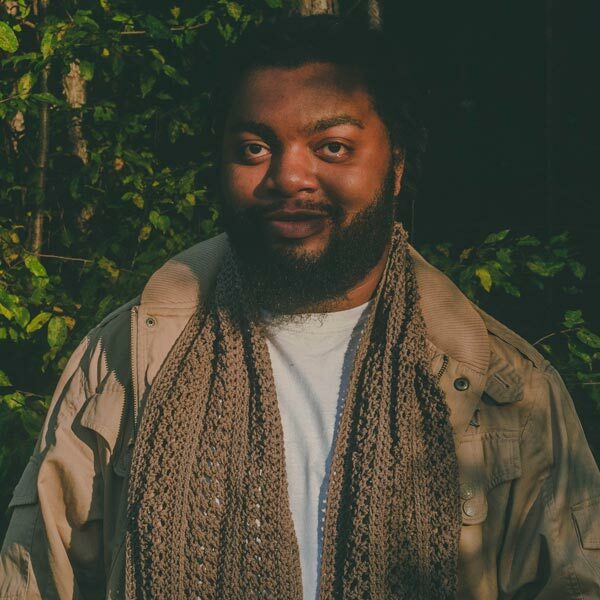 Justin Leonard, creator of Second Life Timber, shares his moving story of what gave him the courage and faith to create despite his imperfections. Caitie Moore from Thoresby Cottage brings us a free crochet pattern for the adorable Boho Summer Daisy Bracelet!! Customize the flowers if you want or keep the beautiful colors Caitie has chosen, either way it's going to look gorgeous! 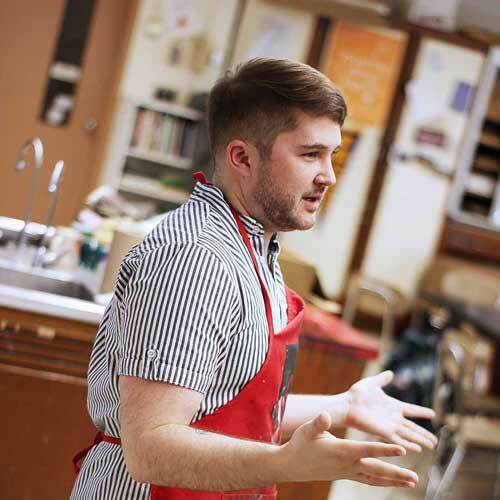 Are you looking to share your creativity with our wonderful Maker community? We are looking for creatives just like you to feature on our blog for the Fall and Winter of 2018! Find out how to get involved! 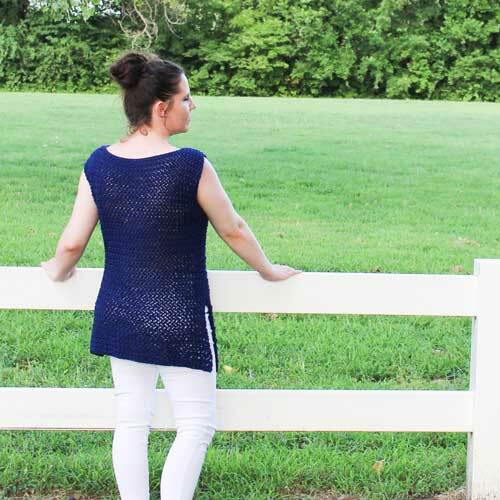 Grab some yarn and your hook to get started on this DIY Elizabeth Tunic crochet pattern! Great layering piece and wonderful garment project! 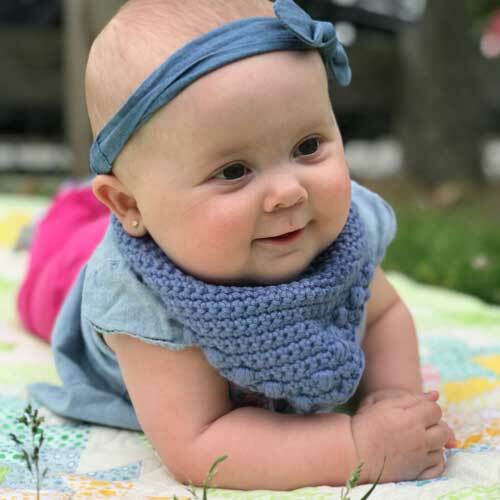 Courtney Geisser from Hey Baby Crochet shares a FREE crochet pattern for a baby bandana and tells us how she came to pick up her first crochet hook. 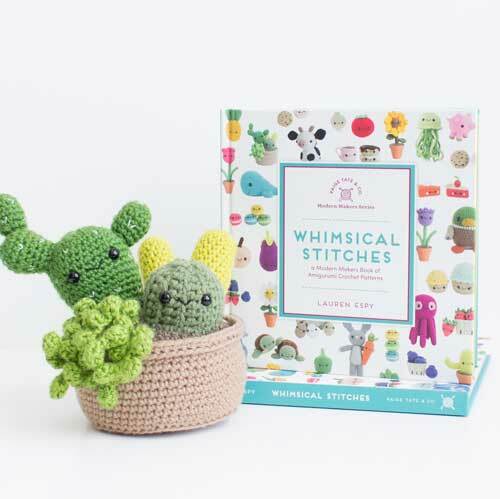 Maker and author Lauren Espy talks about how her she went turned a simple hobby into a full time business and how she wrote her first book, Whimsical Stitches. 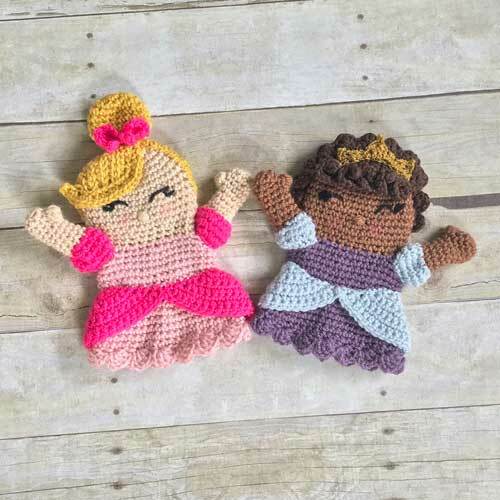 Fun princess-themed crochet hand puppets that your own little princess will treasure! Follow these 10 tips to create a new and improved Instagram presence. While on this maker journey I have found that I was created to be creative and that my story matters. However you tell your story, through your own craft or through memory keeping, never let it die. 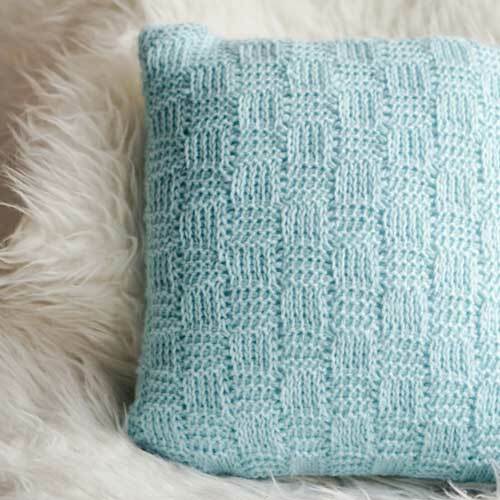 The Tunisian Basketweave pillow is the perfect pattern to get you hooking on Tunisian crochet. It will add a bit of elegance and will definitely brighten up your décor. 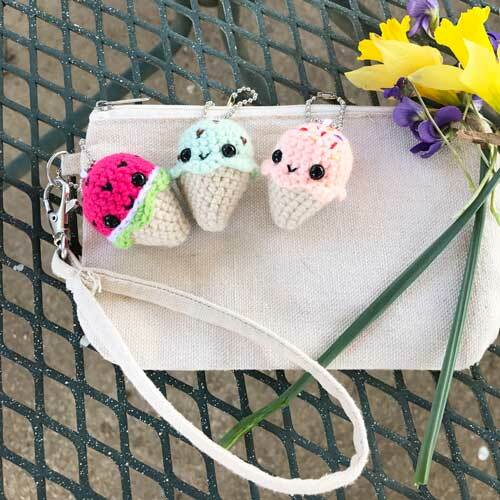 Celebrate the arrival of summer with this fun ice cream keychain that any age will scream for! 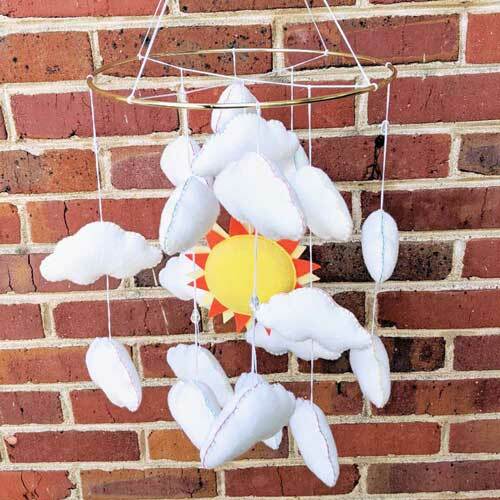 Create this trendy accessory perfect for a quick summer project! 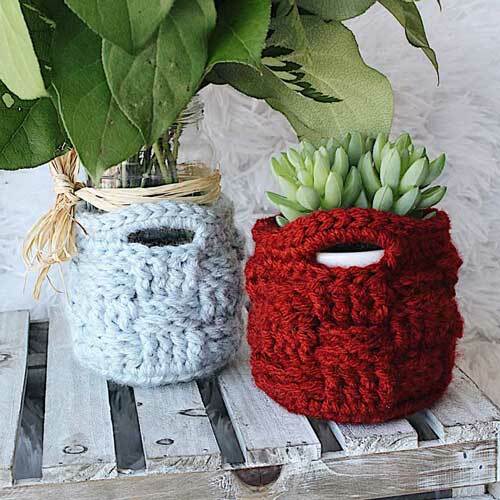 Tiny baskets for your little plants and succulents are always perfect for spring and this pattern is so quick that I dare you to not accidentally make a dozen! 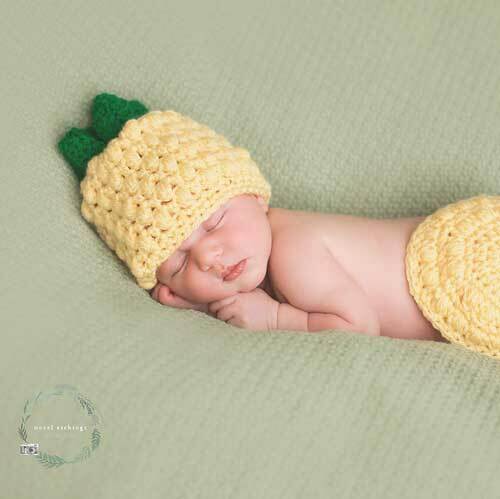 Create this sweet Pineapple Baby Pattern just in time for summer! 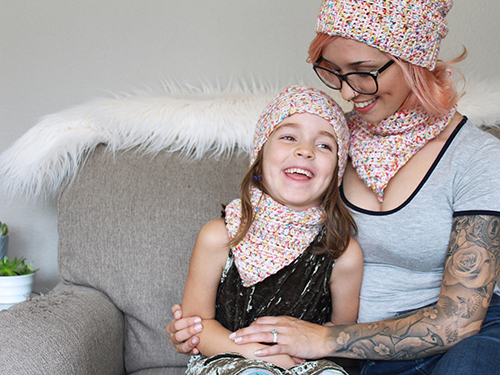 What's better than matching handmade cardis with your best friend?! 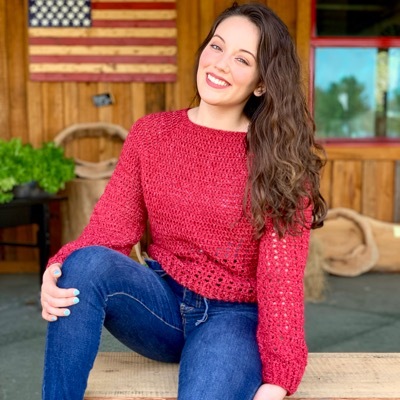 Get started on this Best Friend Cardi crochet pattern by Sierra's Crochet Crafts on THNLife Blog! Crocheting gave me back pieces of my life I didn’t know were missing. I rediscovered my creativity and finally felt like myself again. I finally started feeling like the person I was supposed to be. I finally started being the person I wanted to be. Create this fun corset style bralette just in time for warmer weather. You will want to make it in every color! This wonderfully simple, yet versatile top has been inspired by my minimalist style wardrobe. It can easily be dressed up, or dressed down for a casual night out. Having a side hustle as a creative entrepreneur fits me the way that Cinderella’s glass slipper fit her. I can’t imagine my life without it. 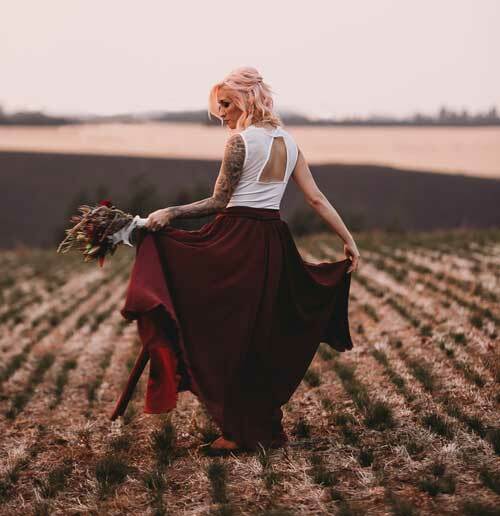 Your side hustle might be different, but finding a way to combine all the things you love is magical thing, and making money at the same time is even better. It sounds too good to be true, but it’s real and it does exist. 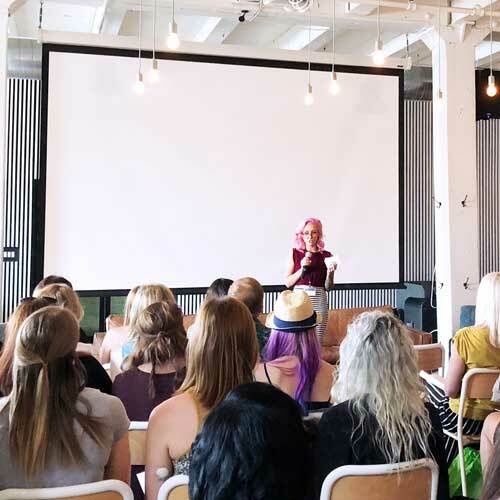 Whether you’re a maker, personal trainer, or fashionista - you can bring your passions together to form your perfect side hustle. 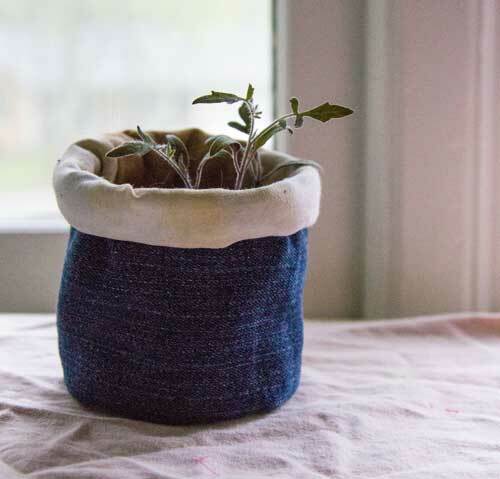 Create this DIY Planter using handmade repurposed materials to celebrate this Earth Day! Want to be featured on the THNLife blog to share your projects, insights, and more? 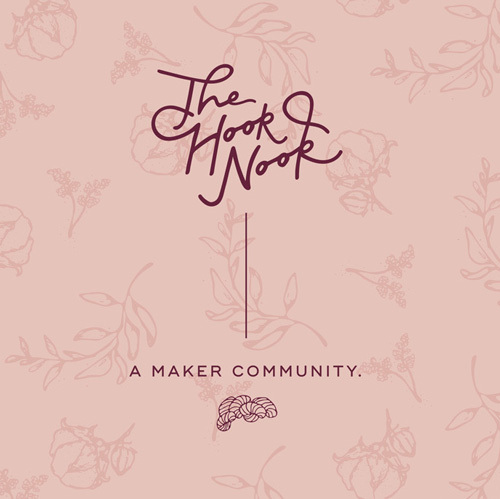 Take a peek and find out how you can get involved with us here at The Hook Nook this summer! Spring into this crochet Fleur Dress Pattern that will make you feel beautiful through out this season and next. 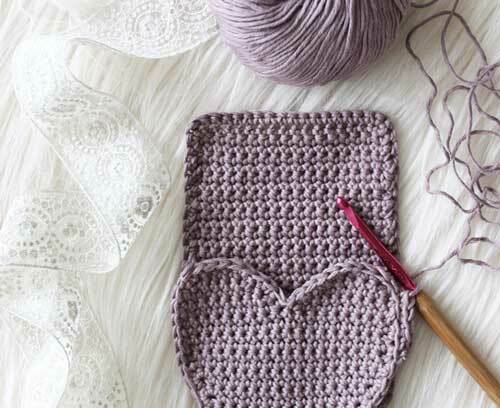 A Crochet Bouque is the perfect quick, yet thoughtful, project for that special someone on Mother’s Day! The Primrose Poncho is the perfect seasonal transition piece. 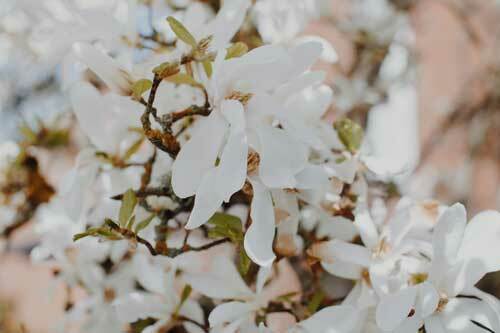 It adds a bit of elegance, and warmth to those spring days that still hold a hint of chill in the air. Spring, curves and the beautiful landscape of Scotland's countryside, were the inspiration for the Inverness fingerless gloves. Learning to heal can be an intense, painful process, so it’s best to take it one tiny step at a time. 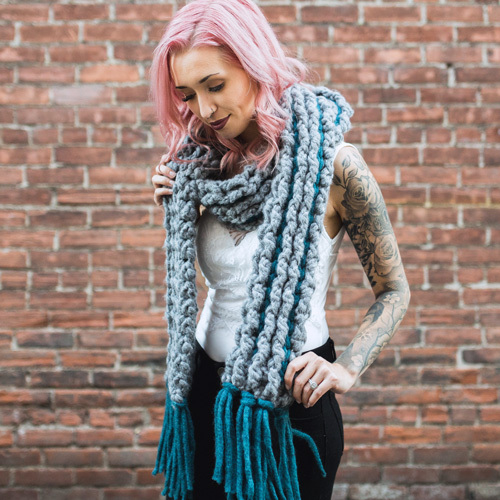 Lindsey Faciane's “She Conquers” tassel scarf design is a tribute to those fighting with overcoming depression and abuse; letting go of toxic attitudes, people, and other negative influences. We are loved, we are enough, and we are always worth fighting for. Whether you live in an apartment or your own home, here are 5 ways you can design a creative space on a budget. If you are going to spend the next 5-6 years doing something, so it may as well be fulfilling, enormous, fantastic, wild, challenging, and everything you could ever want. 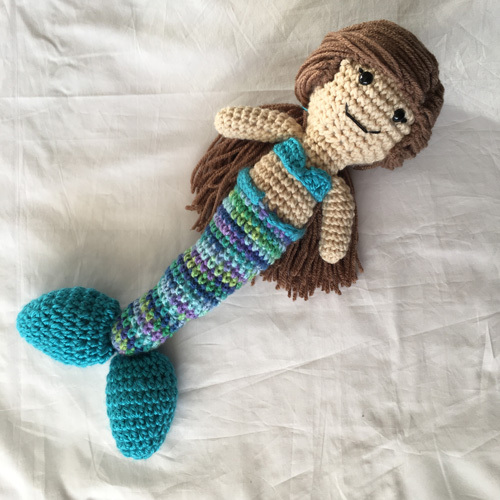 This mermaid pattern by Sarah Reardon is soft, cuddly, and fun to make! Customize it to look just like your little one! Learn Bethany Adam's joy-filled philosophy to Gather, Share, and Connect. Creating and sharing joy is a tough yet rewarding job. As makers, artists, and creatives, we have the unique opportunity to express our journey through this process. 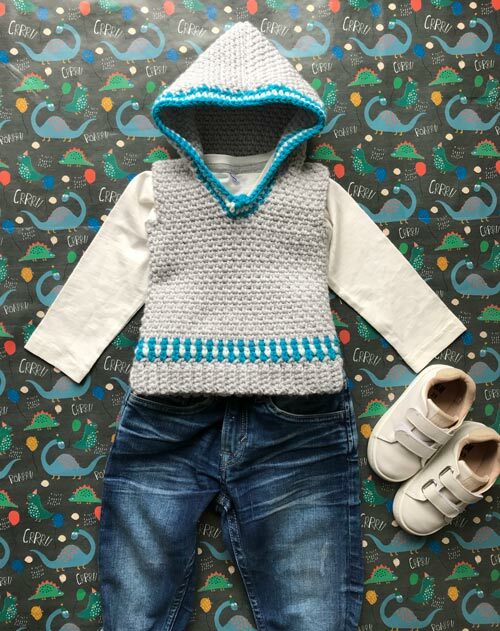 Veronika of Blue Star Crochet designs on trend boys clothes, including this Hooded Vest she created for The Hook Nook readers! Are you a crocheter that has taken the leap into knitting? 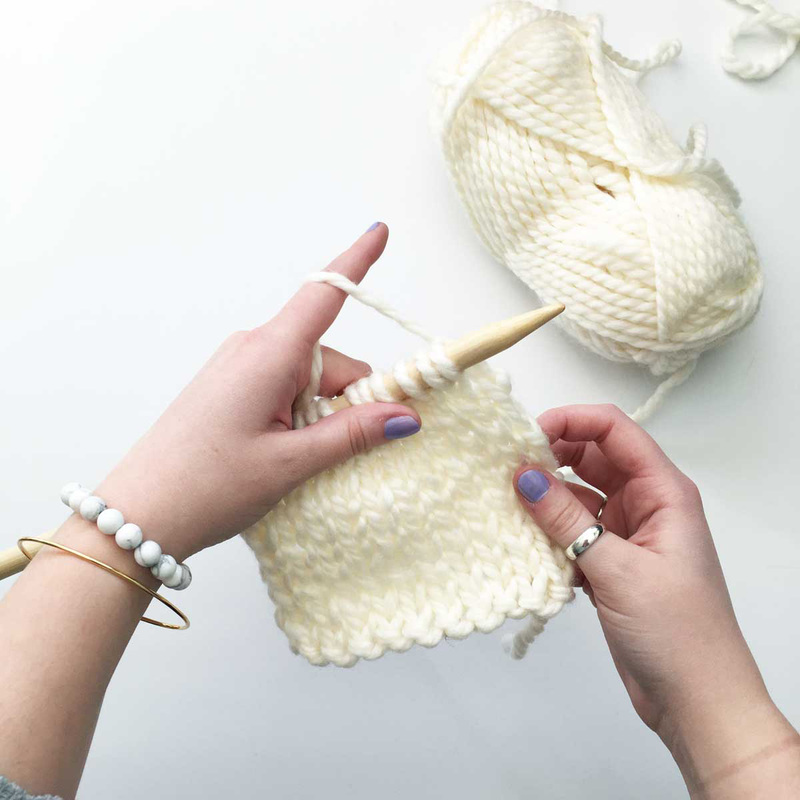 Learn how to keep your stitches from twisting with this simple how-to! Being a maker is about embracing a passion so strong that it keeps me up at night, makes me jump up and down with excitement, causes me to lose track of time, makes me scream, and makes me laugh. I’ve strayed off course many times in the last few years but by allowing my passion to be my North Star, it has always been easier to get back on course. 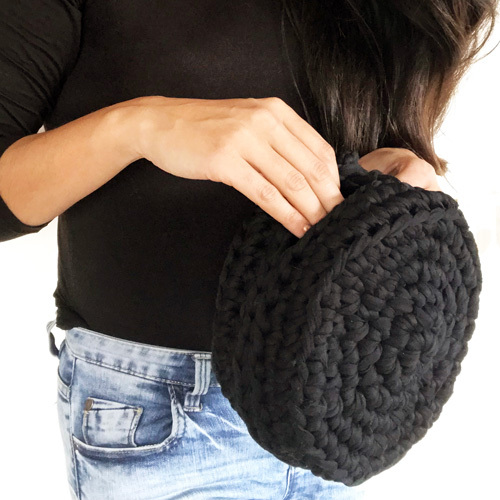 Use this crochet pattern to create a Bubble Clutch for a night on the town! 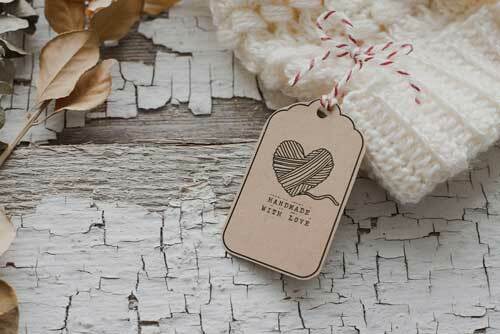 Get this free tag printable to add to your handmade gifts, made for you with love. There is a temptation to put makers into an elevated category of creatives and hustlers, shakers and forward-thinkers. We are a little bit of that, and certainly there is plenty that binds us together as a community. But I would venture to say that there are more differences between us than similarities – and that’s a really beautiful thing. 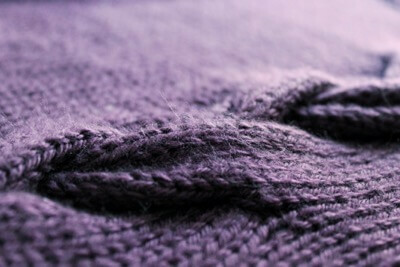 I believe there is an unspoken love in every stitch. In every knitted piece. In every crochet caption and photo lies an unequivocal language of love. Deep down in our hearts is where it begins. And I know within our heartbeats to make, there is a journey for life-fulfilling contentment.